We’ve all been there. “What can I whip up for dinner with this?”, you might say to yourself, gazing into a fridge with yesterday’s leftovers and veggies that need to be eaten before they pass their prime. Creativity and some basic cooking skills can get you a long way in the kitchen, even without a recipe book! 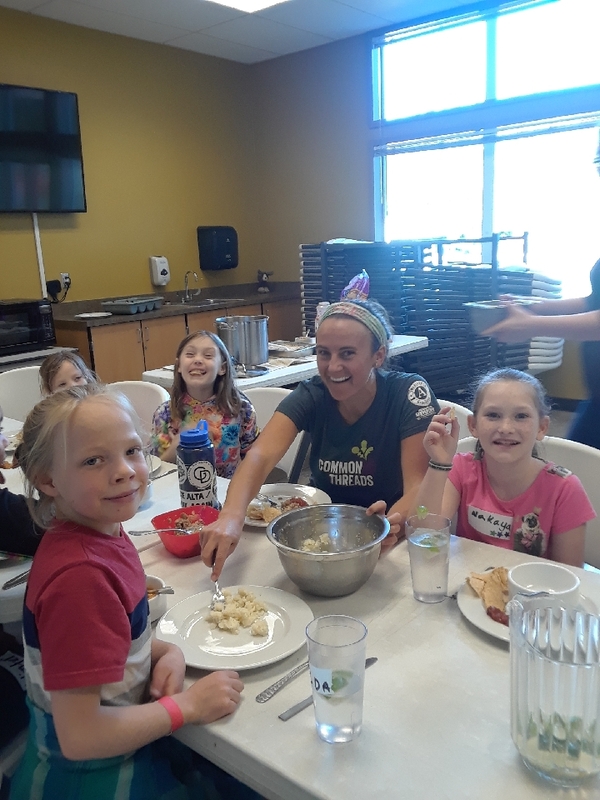 During spring break, Common Threads’ food educators led the Kids Dayz program at the East Whatcom Regional Resource Center (EWRRC) in Maple Falls. 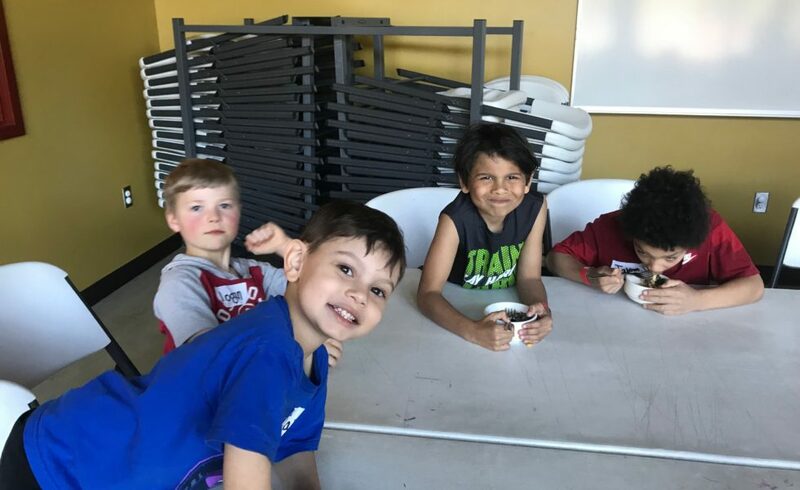 The goal of the program was to empower kids to experiment in the kitchen and create delicious and nutritious meals from a box filled with low-cost ingredients donated to the project by the Foothills Food Bank. Kids ranging from ages 4-12 had the opportunity to brainstorm recipe ideas, cook with a variety of ingredients, and eat their masterpiece dishes! During the week-long program, we played food-themed games like “Cook’s Coming” and “Fire in the Kitchen”, and still had plenty of time for cooking, cleaning, and eating a family-style meal. Together, we set the table, served one another, and shared laughs while enjoying the meals we worked so hard for. Some of our creations included a stir-fry veggie pasta, fruity-pancakes for dessert, tacos (tortillas made from scratch), chili hot dogs, cabbage slaw, split pea and tomato soup, and a berry crumble pie. Common Threads is proud to be growing our partnerships in the eastern part of Whatcom County. We’ll be returning to the East Whatcom Regional Resource Center this summer to host a Kids Cook Lunch program, closing the 5 week gap in summer meals available for kids in the east county. Many thanks to the Opportunity Council, the East Whatcom Regional Resource Center, the Foothills Food Bank, and our amazing volunteers. Stay tuned for more information about summer programming! One camper, Emma, said the best part of her day was spending it with us! She also said she’d eat our meals EVERYDAY for dinner!